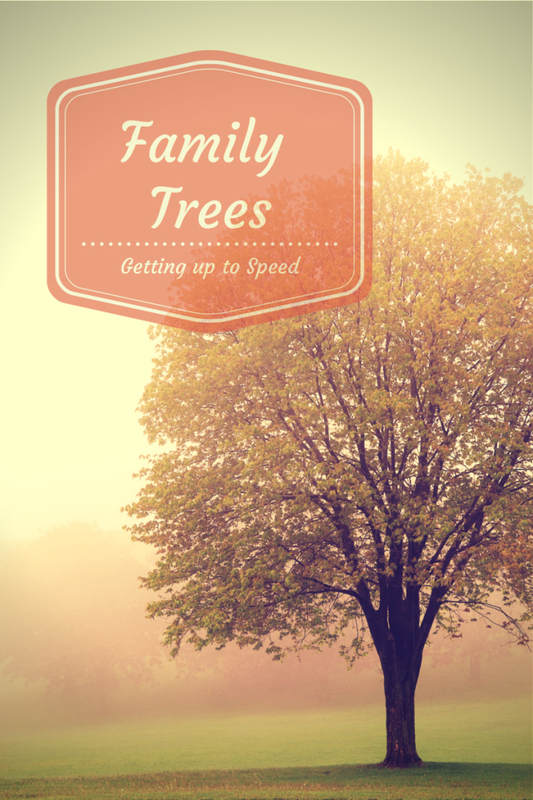 What is the fuss about family trees other than they are concise places to help us see our family at a glance? Well, that one statement might be reason enough, but starting a family tree online also gives us a place to keep everything we are finding and be able to access it whenever we want. There are great software packages available if you want to keep everything very private and self-contained on a single computer. But, if you want to really step up your searching capabilities, then putting your information into an online family tree is the way to go. My two favorites, Ancestry.com and FamilySearch.org, have been around for a long time. Both are FREE and encourage you to add your family trees. As with any for-profit company, you will be courted by Ancestry to sign up for their subscription packages but don’t fret, it isn’t mandatory. FamilySearch, on the other hand, is a completely free site that you can also use to search but can be a bit tricky to work in. I have had a subscription with Ancestry.com for years due to my profession, but with all the work that FamilySearch has done with their online information, it is quickly gaining speed. While I am not affiliated with the Church of Latter Day Saints, I have become very appreciative of their mission to document and tie together every family. Maybe I’m stretching what their mission is just a bit, but it is quite incredible to see what all they have accomplished. If you have never heard of the Mormans and their strong attachment to family history, then you might want to do a quick online search to check it out. They have been working for years and years putting federal,state and county records onto microfilm and storing all this wonderful history in their mountain vault in Utah as well as accumulating a massive amount of books in their library. For quite some time, they have been on another mission to digitize and index all of that wonderful goodness not just for the United States, but for all over the world. Truly a worthy mission in my mind! Ancestry.com, on the other hand, has an extremely easy-to-use format. Yes, you did read my words correctly above, Ancestry.com family trees are FREE to enter online and you can upload pics, scanned documents and your own information. If you want to use their searching capabilities, you have to have a subscription. The good news is that most libraries carry their own subscriptions to the Ancestry Library Edition so you can gain access to their online databases while working on your family tree at your local library. Quick side story! I had a distant cousin contact me several years ago telling me that she had some pictures of my grandmother. She uploaded them to her family tree on Ancestry.com and I was able to see my grandmother as a young woman. Plus the young gentleman sitting next to her was my grandfather that had passed away when I was about three years old. I’m not sure if my own mother had ever saw pictures of her mother when she was younger. I wished that I had been able to share these pics with my mother who died back in 2000 but it was certainly a treasure to have! Just the ability to make contact with distant family, is another huge reason to get your family tree online. Now back to setting up these all-important family trees. I have my own family tree set up on both sites. Probably overkill on my part, but I like to see what is available. Entering information on both trees is as easy as starting with your own name and birthdate and because they are all password protected, your information will not be shared. Just keep in mind that anyone in your family that has passed away and has their death date entered, will become public and viewable. Well… (and you know there is always an exception to the rule, right?) on Ancestry.com, you can keep your information completely private. The basic data will show up in a search of public trees but no one can see what else you might have entered for anyone within that tree such as photos, stories or information you have collected. We’ll have to discuss the pro’s and con’s of keeping a tree private later. I’m in the camp that thinks that everything that is entered should be viewable because some other relative might have information that would help me. If you are really just starting out, you will quickly learn that the family history community can be extremely helpful and willing to go to great lengths to help a fellow researcher. I think they call this “paying it forward!” What are your thoughts? So much more to say about setting up and working with family trees, but just getting started is a big step. I think that going much further into the process would be like welcoming you to the first day of college and then unleashing all four years of learning onto you in the first day. Family history research is a journey. Enjoy it.